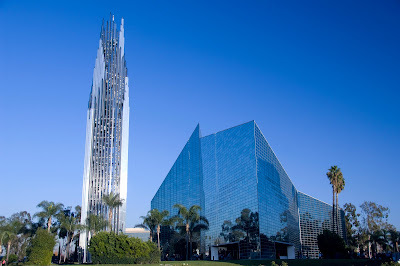 Whispers in the Loggia: In Catholic Hands, Crystal Becomes "Christ"
The much-anticipated announcement of the iconic Protestant church's new name was made today by Bishop Tod Brown, closing a process which began with a solicitation of input from members of the 1.3 million-member SoCal flock. A Christological choice sought from the outset, over 4,000 suggestions were said to have been submitted. No information was immediately available on how the choice was made. 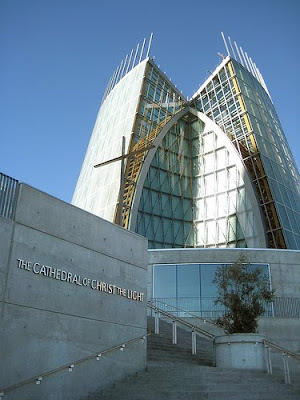 Unique for a Catholic church, the new moniker received the required sign-off of the Holy See in late April, five months after Rome approved the $57.5 million purchase, completed last November after the landmark's governing Schuller family was forced to sell the 31-acre campus in the wake of a contentious bankruptcy filing. Along with the renaming announcement, Brown tapped his Vicar for Priests, Fr Christopher Smith, as the lead overseer of the transition to the new cathedral. 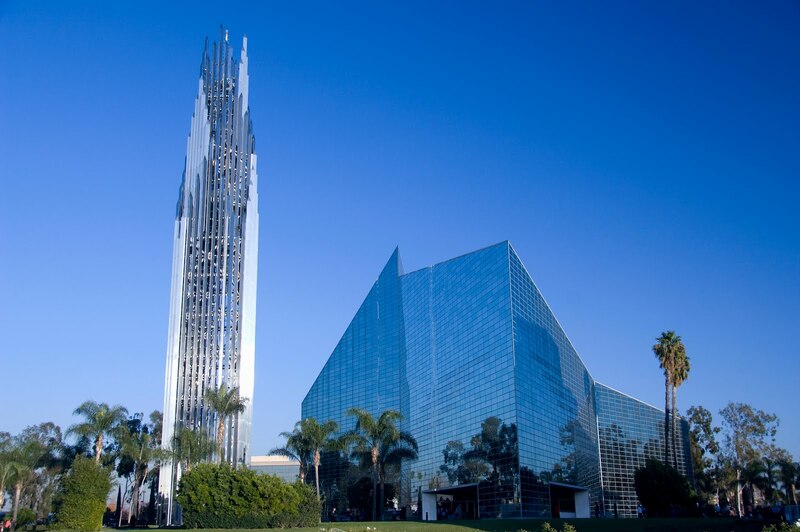 Over the coming months, the site and its buildings will become the Orange diocese's administrative hub as well as its mother-church. As previously noted, the diocese is preparing to undertake a significant refit of the 60,000 square-foot glass sanctuary to render it suitable for Catholic liturgy. An internationally-known specialist is expected to be brought aboard to chart the course of the effort. While the liturgical renovations were previously thought to be targeted for completion in 2014, local reports say the process won't begin until July of that year, and are expected to take at least the better part of another year. The latter was intentionally built a foot longer than American Catholicism's best-known and most-visited temple: St Patrick's Cathedral on New York's Fifth Avenue, whose capacity is usually pegged at 2,500. 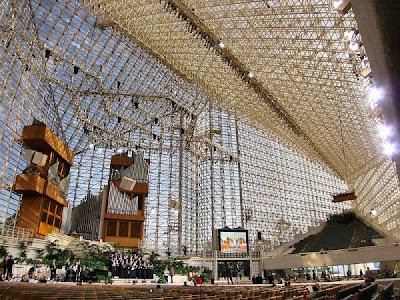 With the revelation of its new name, Orange's seat-in-waiting becomes California's second Christ-themed glass cathedral to roll out in recent years, after Oakland's 1,300-seat Christ the Light (left), opened in 2008 at a cost of $190 million.